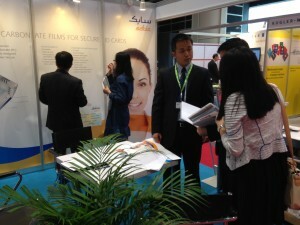 At the CARTES & Identification show in Hong Kong, SABIC’s Specialty Film & Sheet business showcased its LEXAN™ SD film technologies and product portfolio that help easy manufacturing and lamination of complex, secure electronic ID (EID) cards with thin layers, simplify integration of additional security features needed to combat identity theft and counterfeiting. With over 3,000+ decision makers in banking, telecom, transportation and security sectors, visitors had a unique opportunity to discover international exhibitors’ innovative technologies, but also to enhance their knowledge through the conference and round-tables. With exhibitors from 21 countries and 100 exhibiting companies, CARTES is the premier meeting place for companies from the smartcards and cards manufacturing, Banking and payment, IT and Security, Retail, Government and Transportation industries, where enterprise executives converge to discover innovations. During the show SABIC team met with key-customers in Pacific, enhancing the LEXAN film brand in the EID card segment in the region. 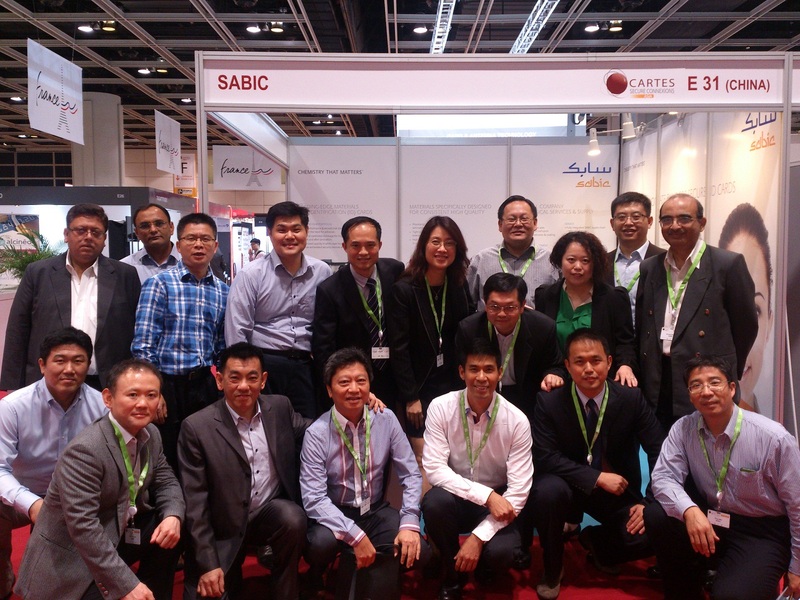 During the show, Specialty Film & Sheet Pacific leader Jason Cheung and his staff visited SABIC booth. They thank SABIC team and gave their support for great success of the show. LEXAN SC8A12E and LEXAN SC8A92E one side flexible hard-coated, one side fine matt textured films provide solutions to further improve the durability of security documents and even better protect security features inside of the card – construction. Available in gauge of 105 microns, LEXAN SC8A12E is a clear hard-coated film for clear card overlays and LEXAN SC8A92E is a clear laser mark able hard coated overlay, both surpasses standard PC film in durability, including scratch and chemical resistance, helping to extend useful life and reduce resource consumption. These new products directly address accelerating industry trends calling for more and thinner card layers to accommodate additional, enhanced safety features and provide easy processing and enhanced durability for ID cards and other security documents. These films offer tight gauge tolerances to simplify manufacture of cards within mandated thickness parameters. They also provide high performance and exceptional durability without the need for adhesives. These new products have an excellent abrasion and gouge resistance with delta Haze of 3-4 according ASTM D1044, compared to other coated polycarbonate films, showing high resistance to scratching in everyday use. Products also help the card surface maintain gloss and transparency over a longer period. The coating is developed specially to survive the standard lamination process-conditions for making PC cards and also allows high secure micro-structures like with standard uncoated LEXAN PC films. The hard coating also offers resistance to abrasive cleaning agents and to the chemicals found in sun creams, cosmetics, oils, greases and fuels. Laser engraving is still possible through the hard-coated films without any loss in contrast or other optical quality properties. 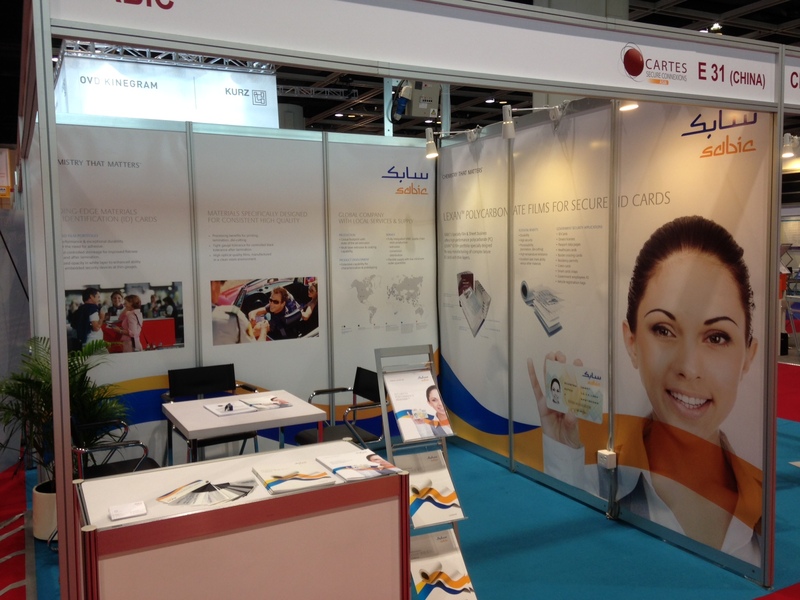 Potential applications for these SABIC films include electronic ID cards, government and police ID cards, passport data pages, green cards, driver licenses and border crossing cards. SABIC’s portfolio is backed by advanced technical support and application development services around the world. LEXAN SD8A12 film, clear polycarbonate film for overlay or intermediate layers.